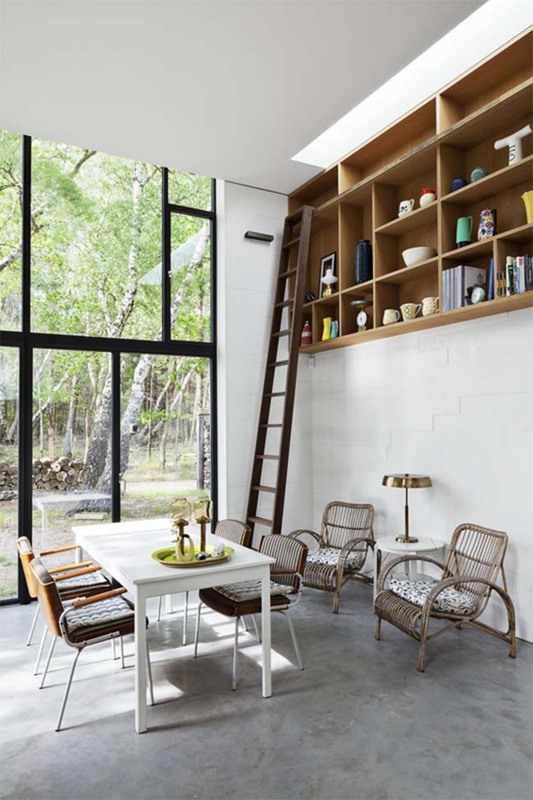 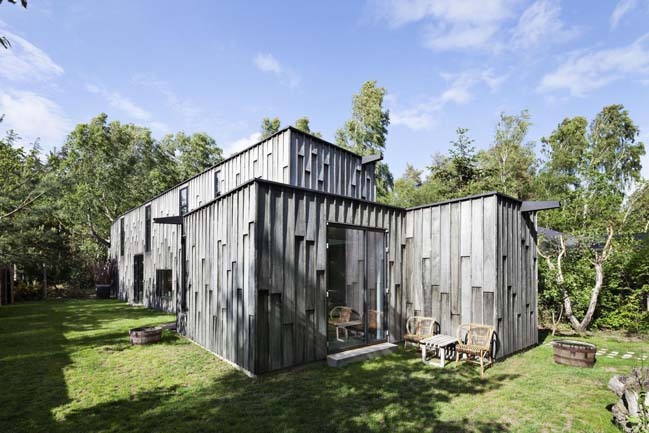 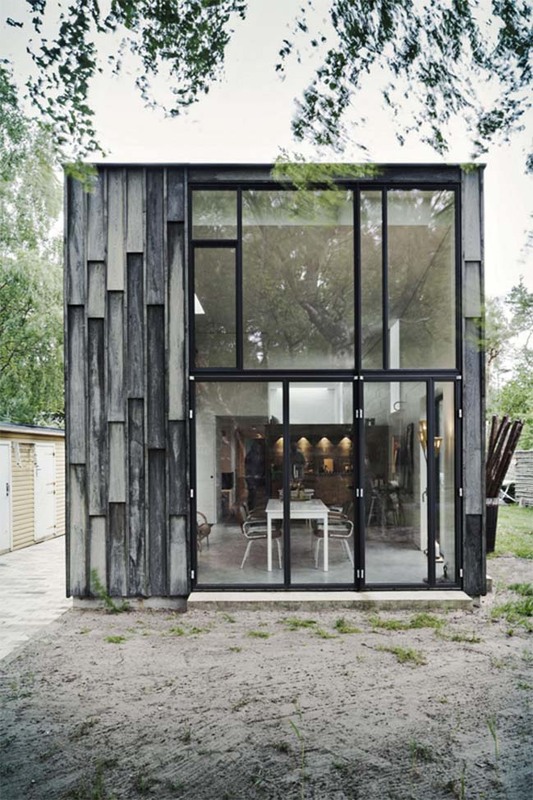 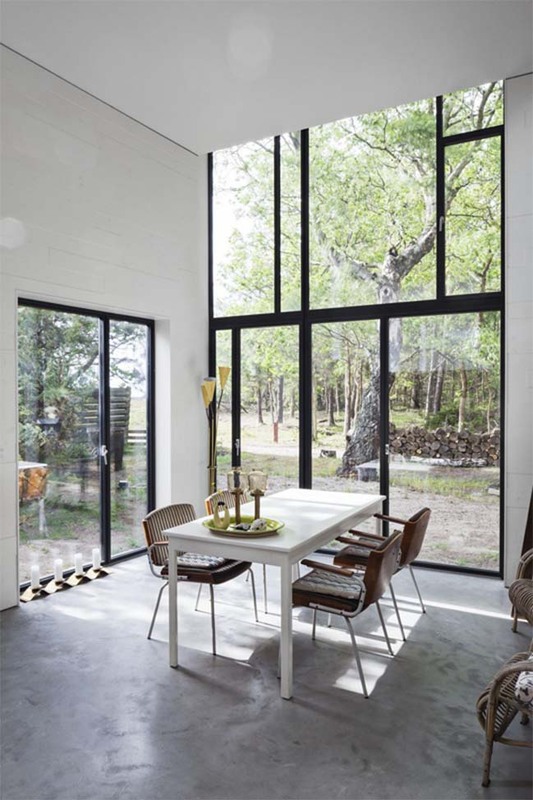 This Forest House located in Denmark and designed by Primus Arkitekter to create a spatial frame for large dinner parties and at the same time provide intimacy. 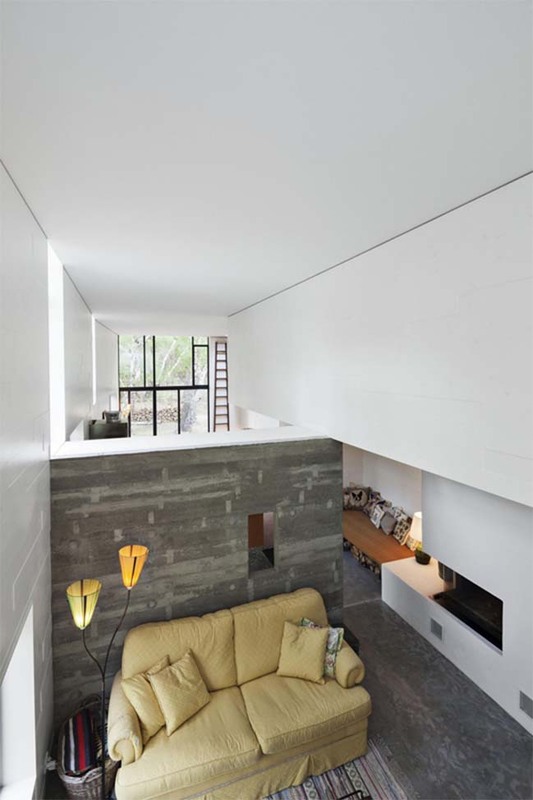 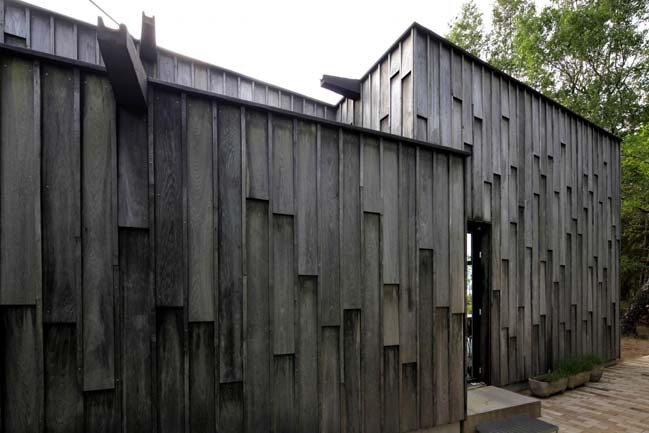 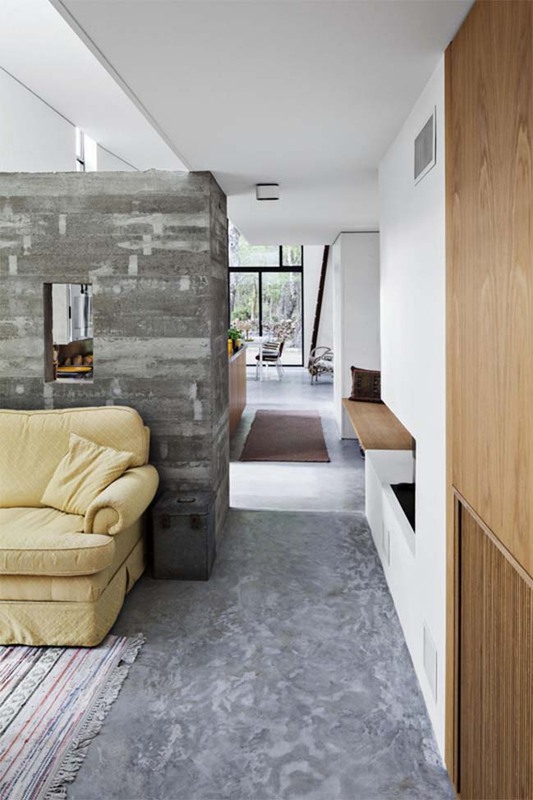 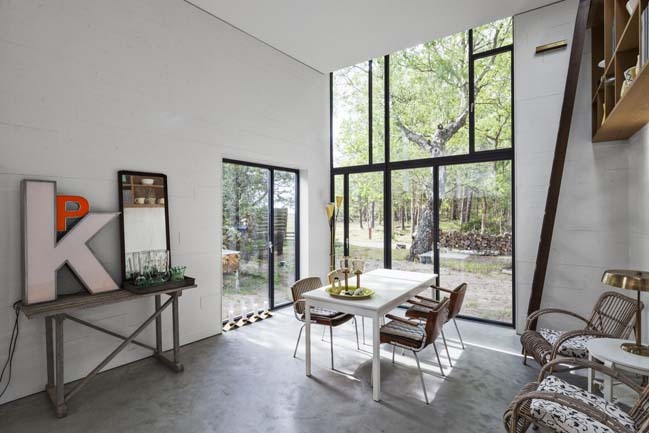 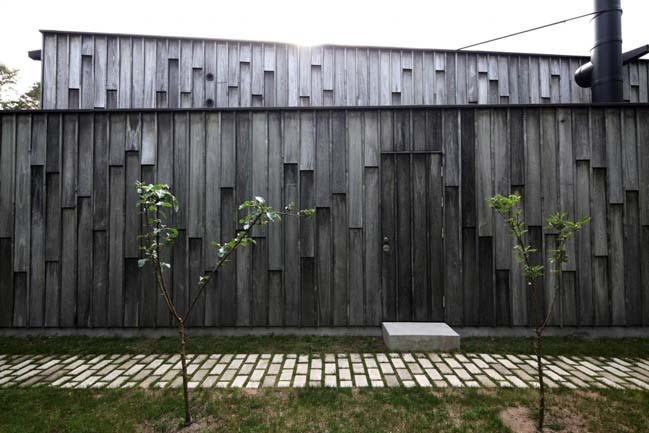 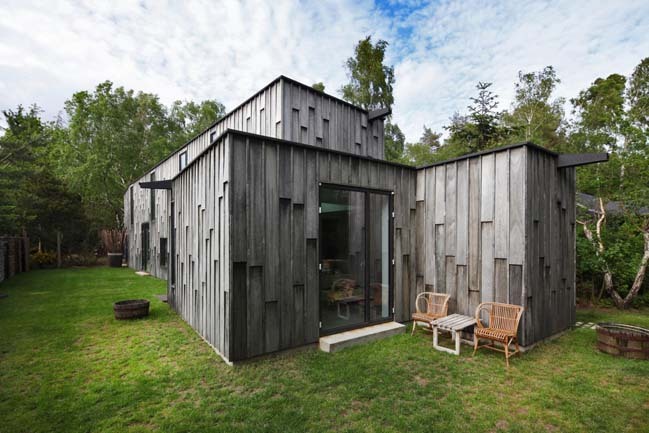 Follow the architects: The clients wanted to shut the house off to the adjacent buildings in order to have an exclusive experience of the forest. 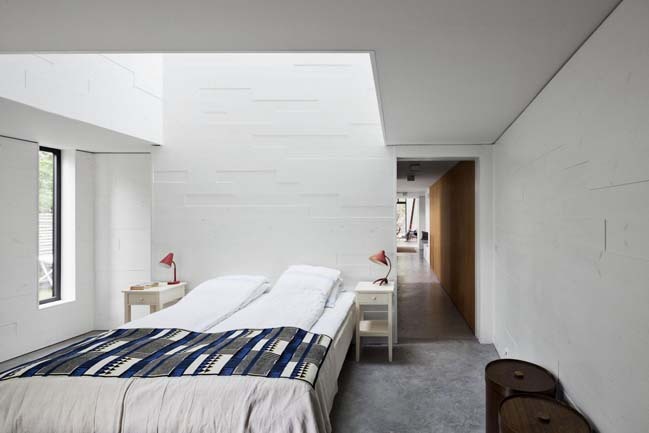 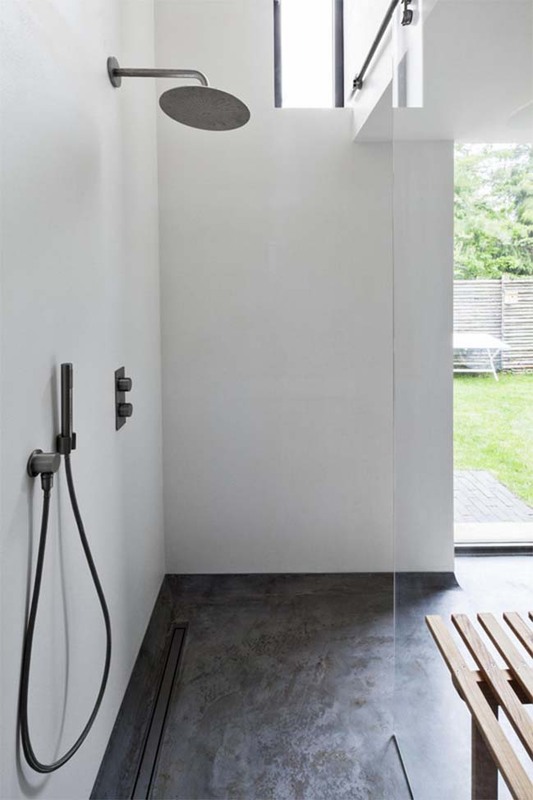 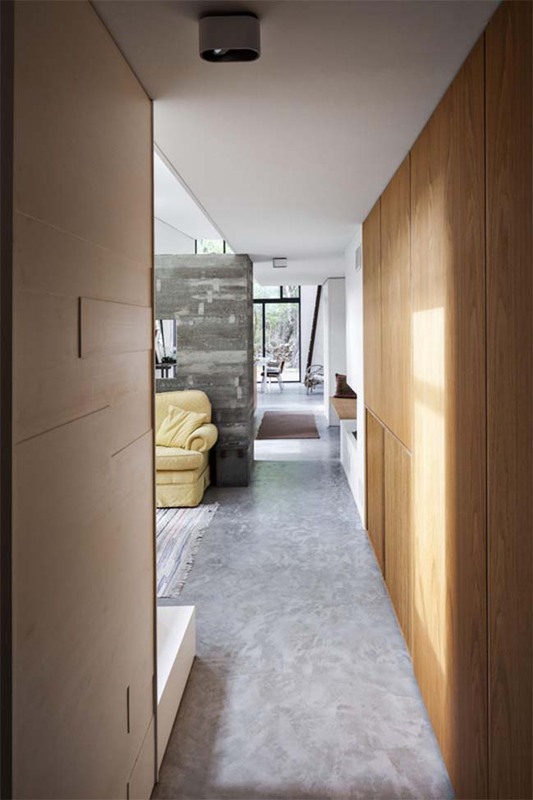 The section is an interpretation of the local building regulations in order to create maximum ceiling height and natural light. 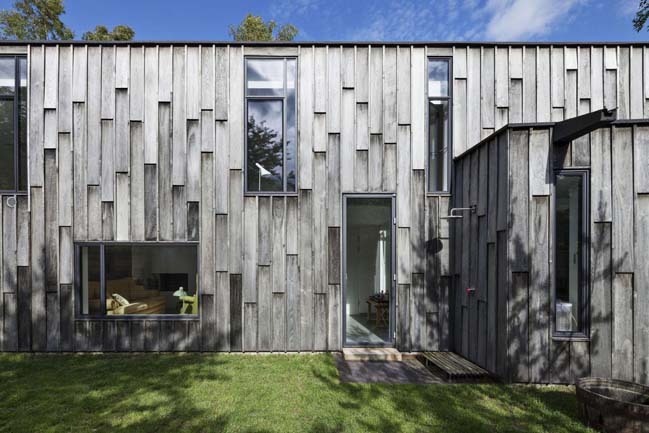 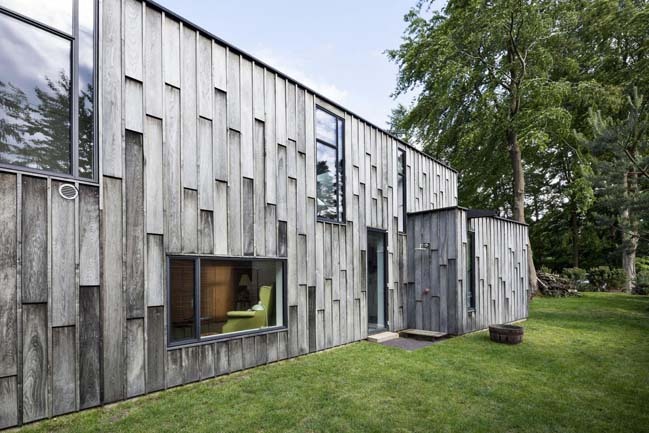 The facade is a lapped cladding in solid oak boards treated with iron sulfate, which protects the wood and creates the weathered surface. 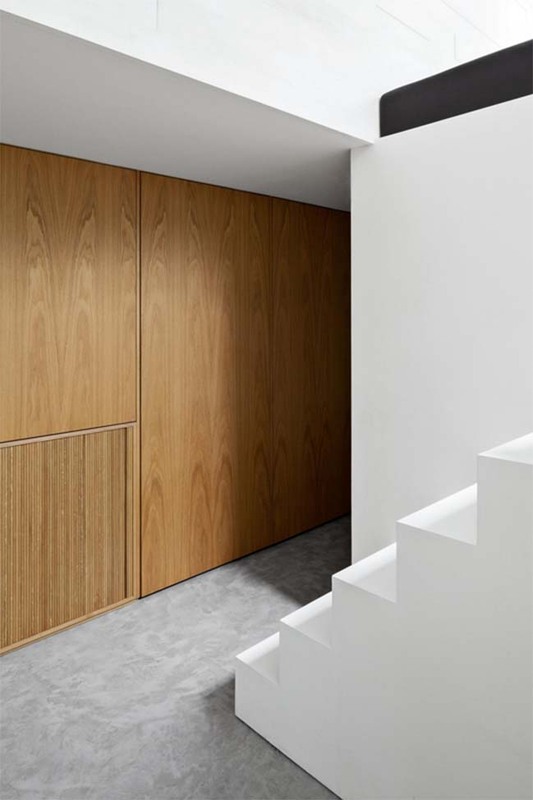 The furnishing of the interior is created by the skewing of the plan, which creates hidden storage space and a hidden entrance covered by oak panels. 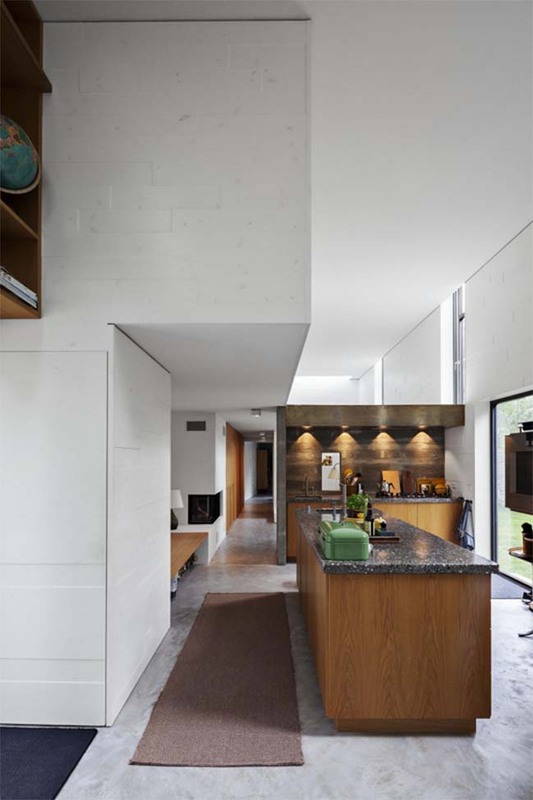 The floor is polished concrete with built-in heating. 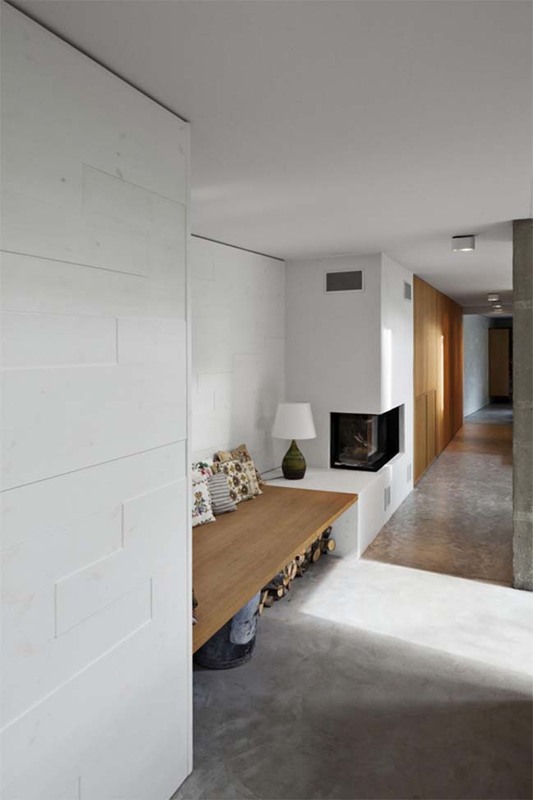 Interior walls are made from wooden boards of slightly different thickness, creating a tactile surface that catches the light.